✪What is dimension of the pitcher? Length: 11.20 inch, Width:5.7 inch, Height:9.8 inch. 1 pitcher and 1 filter. 1.Discard the first two fillings or use the water for your plants. These first two fillings are used to flush and prepare the filter cartridge. 2.Please attend and hold the lid when you pouring water, then, the lid will fit snugly ,and won't falling off or spills. 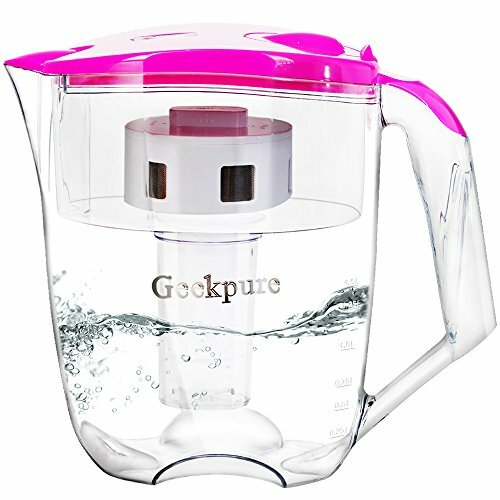 If you have any questions about this product by Geekpure, contact us by completing and submitting the form below. If you are looking for a specif part number, please include it with your message.